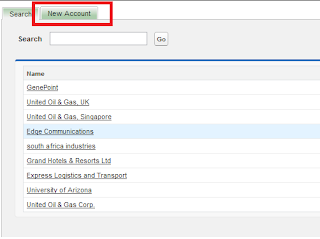 Functionalities of the look-up is same as the standard salesforce look-up have but in this one you will have a "New" named tab will will help you to create a new record in Account object and at the same time User can fill of the same record in the look-up field. You need to create a Field Set in Account Named as "CustomAccountLookup". then proceed for the codes. The Red marked tab "New Account" can be used to create new Account record. 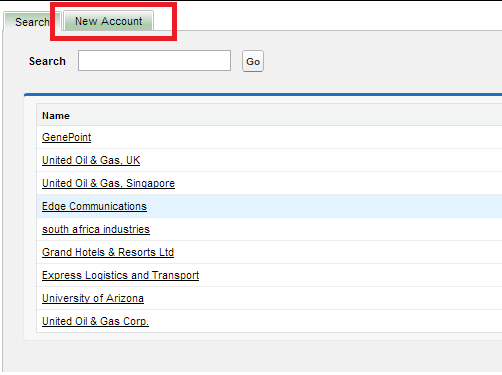 /** Description : Custom Account Look-up with standard criteria and records can be created in the look-up window. // run the search and return the records found.